We’ve been drilling for oil for centuries now and, because of this, our planet has experienced numerous environmental disasters due to massive oil spills. It’s affecting our health and our environment and it’s up to us to make a difference. For better or for worst, the world has a long, complicated history with oil. The U.S. alone consumes 19 million barrels of oil per day. For years, countries like Canada, France, Iran, Iraq, Italy, Kuwait, Mexico, Russia, South Africa, the United Kingdom, and the United States have experienced disastrous spills. The world’s biggest oil spills have exposed over 1.5 billion gallons of oil to the environment. This number has increased with a recent U.S. oil spill this past March. Imagine returning home one day to find your neighborhood filled with oil. That’s what happened to residents of the North Woods subdivision in Mayflower, Arkansas. These families, who never even knew that there was an ExxonMobil pipeline below their street, suddenly had between 200,000 and 500,000 gallons of heavy Canadian crude oil in their lawns and driveways as well as a “sulfur smell” in the air after the oil pipe burst. This is nothing compared to the 2010 BP oil spill in the Gulf of Mexico in which over 200 million gallons of oil contaminated the ocean and the coast. When the offshore drilling rig exploded the massive oil spill spread 130 miles long and 70 miles wide. Because of the spill thousands of Louisiana residents had to file for unemployment and some people were injured and killed due to the explosion. 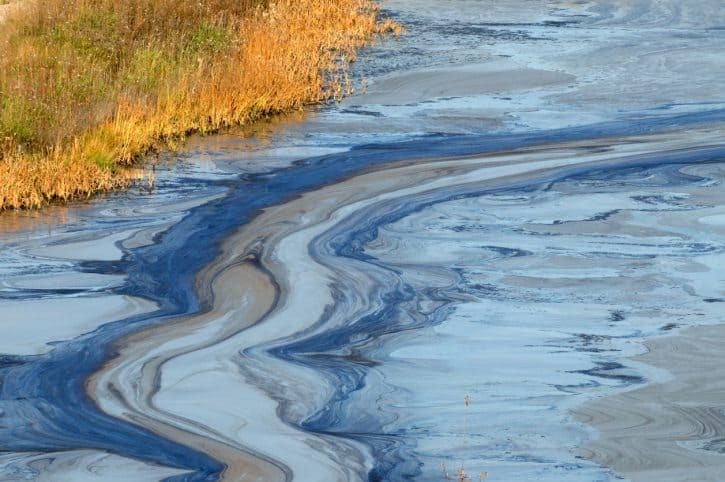 These oil spills have tragic effects on people’s health. Those who were exposed to the oil and the fumes can suffer from acute health problems like inflamed skin, irritated eyes, difficulty breathing, headaches, nausea, and vomiting. An independent study found 30 toxic chemicals at the ExxonMobil Mayflower spill site. Some of chemicals like benzene can cause cancer and others like n-hexane can cause damage to our nervous system. Other chemicals have been linked to miscarriages and chemical or hydrocarbon pneumonia. We aren’t the only ones that suffer from oil spills. The chemicals and the oil pollute our air, water, and our entire ecosystem. It can take months to clean up, but the effects can last forever. Animals are quick to die or starve after these environmental disasters. If these animals manage to survive, their natural habitat is destroyed and they’re likely to experience health problems. For instance, future generations of fish are at risk since their eggs are often damaged from the oil chemicals in the water. Birds and marine mammals like sea otters often experience hypothermia when oil slick covers their feathers or fur. Fortunately, you can make a Mindful impact. Follow this link to reduce your dependency on oil. And to learn more about the effects of oil spills consider visiting the U.S. Environmental Protection Agency website.